New technology is delivering considerable benefits to the financial inclusion market – but is also creating new risks that service providers need to manage if they are to succeed. This is the main conclusion of a new survey of the risks (or Banana Skins) in the provision of financial services to people in emerging markets who have little or no access to these services. 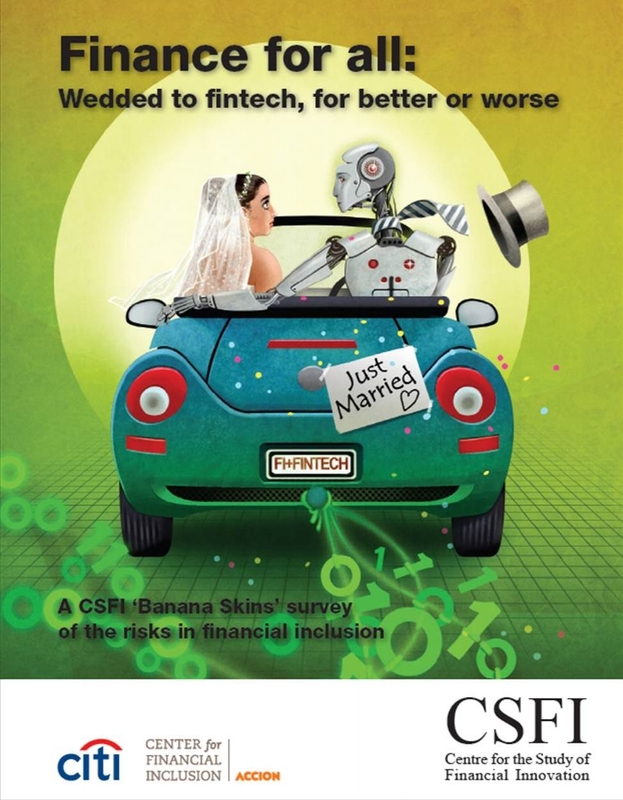 The report, Finance for All: wedded to fintech, for better or worse is based on responses from over 300 practitioners and close observers of the industry in 70 countries. The survey was conducted by the Centre for the Study of Financial Innovation (CSFI), an independent London think tank, and supported by the Center for Financial Inclusion at Accion and the Citi Foundation. The survey identified 18 areas of risk for service providers and ranked them by the scores given by respondents. Technology risk was the clear leader. While technology opens the way to huge growth in the provision of financial services, it is expensive and complex, and contains risks of its own. Chief among these is the risk that providers will fail to understand it effectively and place themselves at risk. By facilitating access to credit for less sophisticated customers, technology could lead to irresponsible borrowing and debt difficulties. Technology may also attract providers who are more interested in commercial gain than in the social goals of financial inclusion, or those who are unable or unwilling to design products specifically for the excluded. The survey also identifies risks that are seen to be rising in this market. Chief among these is political risk, such as interference by government in the form of interest rate caps on loans, debt waivers and subsidised competition. The risk of bad debts is also seen to be growing as the problem of indebtedness among low income populations persists. Weakness in the governance and management of service suppliers continues to be a concern. The risk of crime, particularly fraud, cyber crime and money laundering, is a growing worry. On a more positive note, risks that are seen to be receding include the state of the global economy thanks to growing signs of recovery, and the availability of funding for financial inclusion services, particularly in the form of “impact investing”. The 52-page report provides a commentary on each of the 18 risks identified in the survey, and breaks down responses by type and region, providing detailed views of the concerns by geography and different classes of respondent. Finance for All: wedded to fintech, for better or worse is the latest survey in a series going back to 2008 and previously titled Microfinance Banana Skins. The new title reflects the evolution of the microfinance business into a wider market for the provision of financial services to the world’s financially excluded, with the participation of a greater range of suppliers, including commercial banks, technology companies and telcos.